Yes, friends, I have peeled myself away from Netflix’s You long enough to write a review. 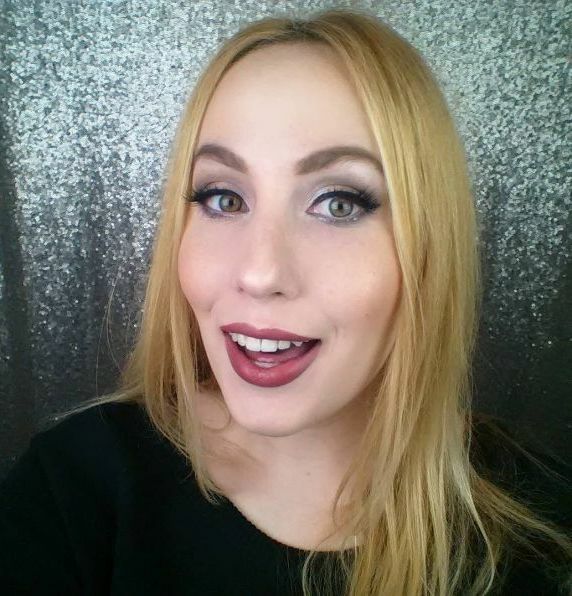 I’m reviewing an interesting product today because when it first launched, it sort of baffled the beauty community. You know how it goes, you see a photo on Trendmood’s Instagram of a new product, speculate a bit, wait for more photos and decide whether or not you need it. 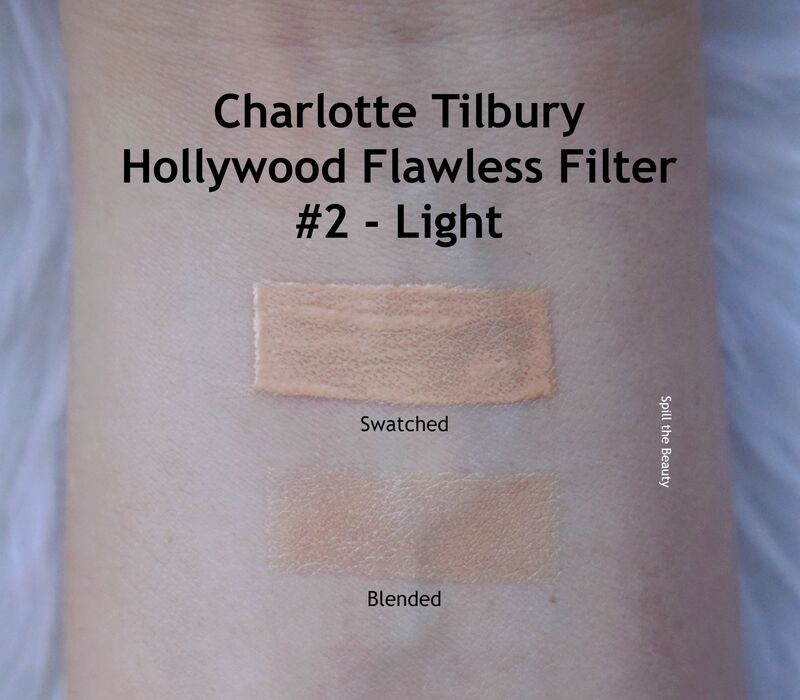 I remember when the shade range photo for Charlotte Tilbury’s Hollywood Flawless Filter came out. It was a range of seven shades, and people were immediately up in arms because of the narrow range. This was because everyone thought it was a foundation, and let’s be honest, a foundation that comes in only seven shades isn’t a foundation anyone wants to stand behind. It was confirmed that this product wasn’t a foundation and for the longest time (I’m talking months here) I couldn’t figure out what it was. 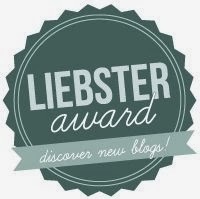 Lucky for me, I found out for myself! 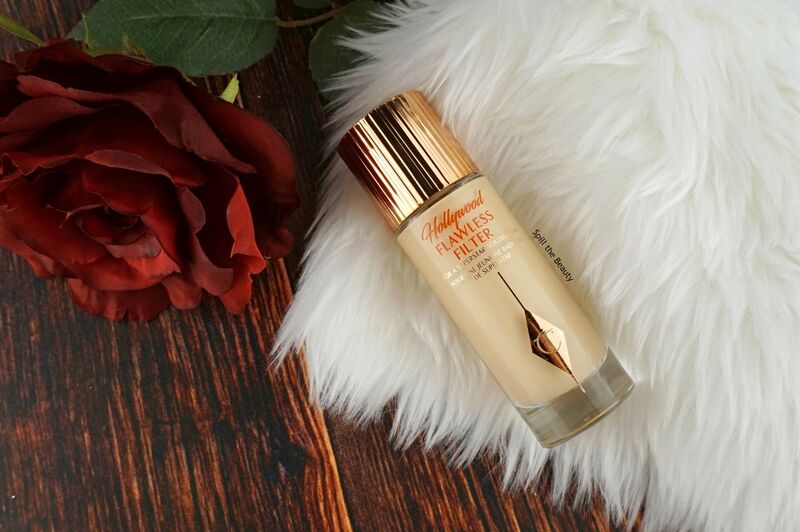 Although the Flawless Filter comes in a 30 ml bottle (the same amount of product as a standard foundation), I repeat, it is not a foundation. 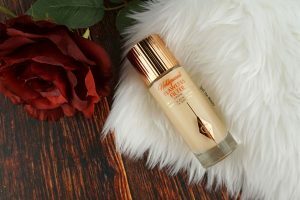 It comes housed in a round transparent glass bottle (similar size to Tarte’s Shape Tape Foundation), with a ribbed gold twist-off cap and a large doe foot applicator. The bottle describes it as a product that is used for a superstar youth glow and the website has it listed as a complexion illuminator. 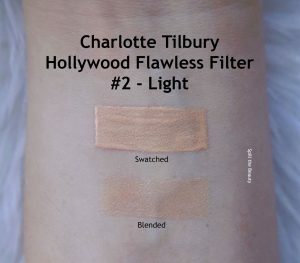 I’ve seen people use it as a foundation mix-in, I’ve seen it used as a primer and I’ve seen Charlotte Tilbury makeup artists use it as a highlight. 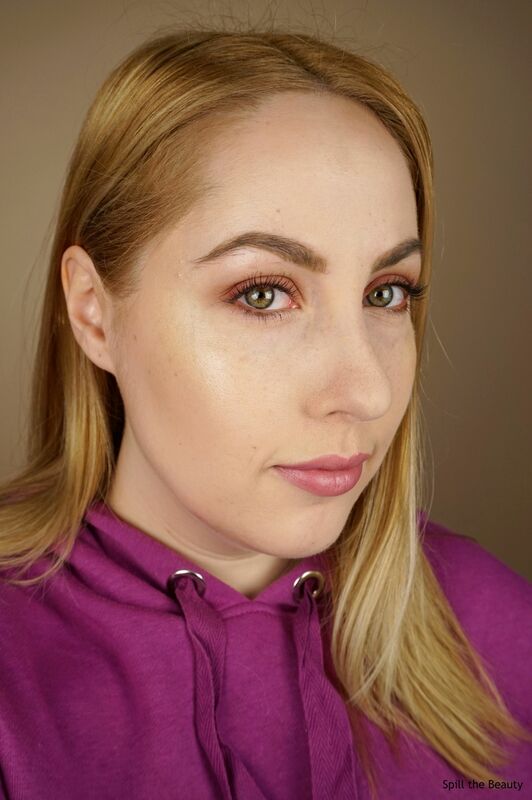 I knew it wouldn’t work as something I put underneath or in my foundation because my breakouts are in full-force right now, so the foundation coverage is on the heavier side, meaning the glow wouldn’t show through. So, of course, being the glow fan that I am, I used it as a highlight. 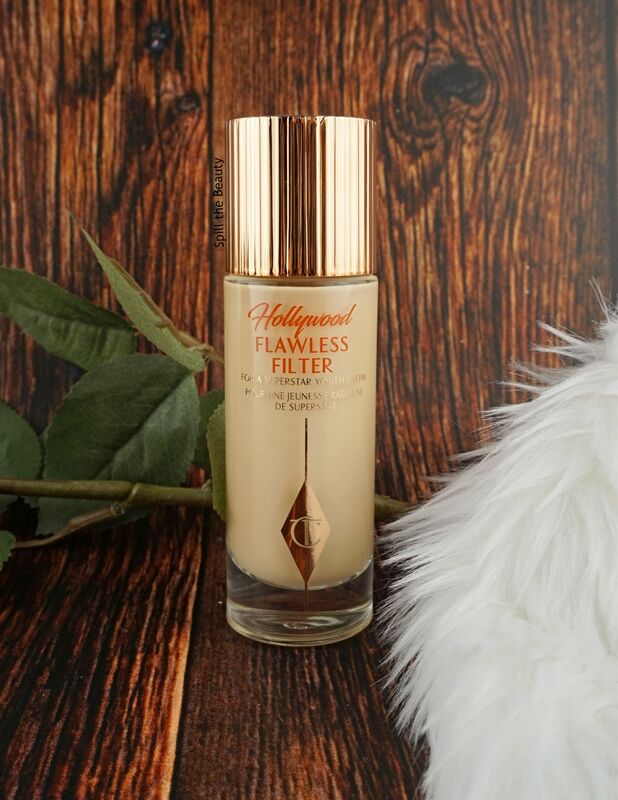 What made the Hollywood Flawless Filter stand out is the finish. It’s in a completely different category than the blinding metallic highlights I use on the regular. It blends extremely easily with the fingertip and sheers out to leave behind this effortless, natural glow. In the photos above I applied three dots to the highpoints of my cheek and blended it out with my fingers. But what is so unique about this product is how versatile it truly is. It creates a perfect “no-makeup” glow when you apply it to the highpoints of your cheeks on the sheerest of foundation days (or foundation-free days). 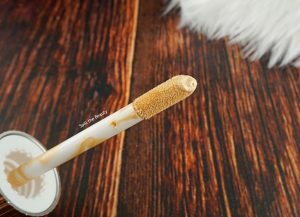 If you want more *pow*, you can apply it over foundation, blend it and then before it sets, apply a powder highlight on top – the tackiness of the formula before it dries really gives the powder something to cling onto. 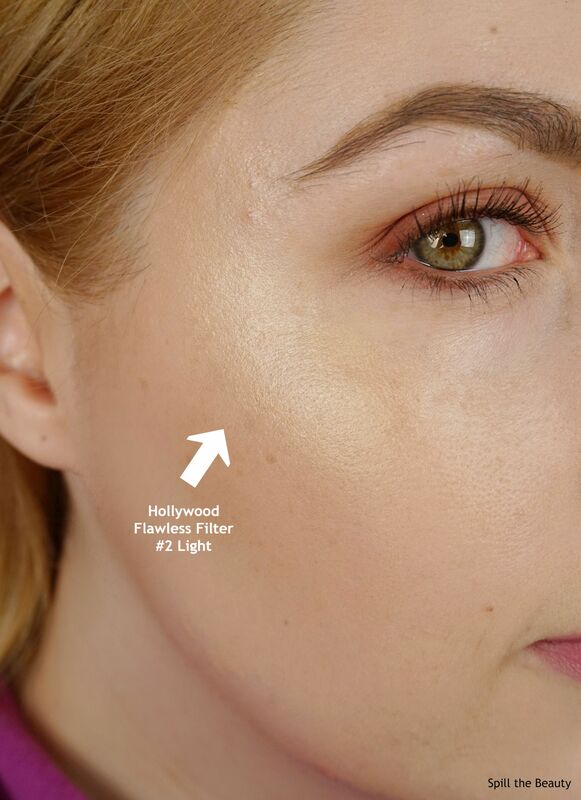 In conclusion, even though I like to glow to the high heavens, the Hollywood Flawless filter was so lovely and so easy to use (I sometimes feel like liquid highlights can be a hassle, with all that blending time, but this one took less than 10 seconds to completely blend out) that I’ll continue to wear it, and use it as a way to encourage me to do more foundation-free glowy looks.